Fresno, California, is looking for one or more partners to bring Gigabit connectivity to the entire community. City leaders recently released a Request for Qualifications (RFQ) to send out the call for interested entities. Letters of interest are due on November 14th and statements of qualifications are due by November 30th. According to the RFQ, the community is experiencing growth in the tech sector and want to support the tide by improving Internet infrastructure throughout the community. In addition to serving new businesses for economic development, the network will connect community anchor institutions such as schools, hospitals, and libraries. As part of their goals, Fresno states explicitly that they want to ensure low-income families and individuals will be able to afford high-quality Internet access. In an article in the Fresno Bee, city leaders sate that they envision rates for some residents at around $10 per month for either a wired or fixed wireless connection. Chief Information Officer Bryon Horn says that the city has approximately 90 miles of fiber in place in the northeast, northwest, and southeast regions of town for traffic control. The southwest area of town, however, is plagued by gaps in service. In the RFQ, the city suggests that any solution could use and expand on the existing publicly owned fiber. An increasing number of communities are taking advantage of the extra capacity available in fiber installed for traffic light synchronization. Aurora, Illinois, used its traffic fiber as a starting point to build out OnLight Aurora. More recently, Centennial, Colorado, is encompassing its traffic-related fiber-optic network into a project that will allow the city to partner with Ting for Gigabit connectivity to the community. Fresno also has dig once policies in place and 104 miles of telecommunications conduit that can be used for the project, which will facilitate any project. 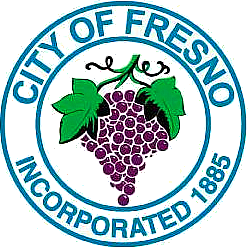 Approximately 520,000 people live in Fresno, and city leaders estimate the population will grow by about 7 percent within the next five years. It is more than 112 square miles in the San Joaquin Valley where there is a $26 billion agricultural industry. Even though much of our country's food grows there, it is also one of America’s fastest growing tech job centers. Both sectors of the economy are increasingly dependent on high-speed connectivity. Along with large employers, the school district serves 73,000 students, more than 11,000 employees, in 97 schools. They recently launched a technology initiative. Higher education in Fresno supports more than 80,000 students at California State University and four other community college and universities. Read the RFQ at the city website.